Amateur Bodybuilder Of The Week: Bigger Is Better! Wrestling prepared Zachary for brutal competition diets and intense training sessions. 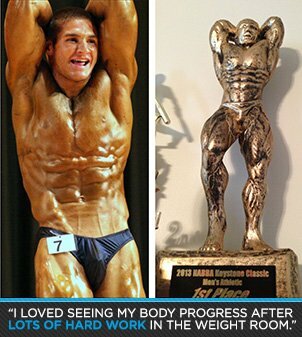 See how his conditioning experience paid off! 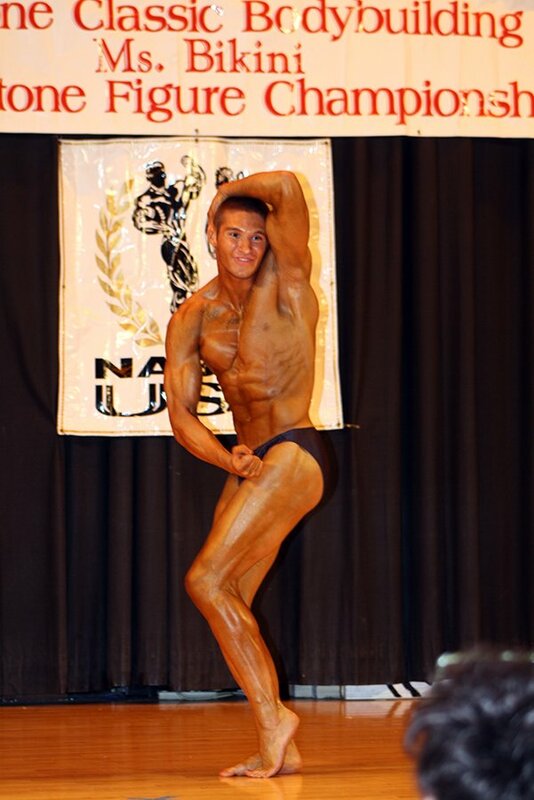 I started bodybuilding in high school for sports. Football, lacrosse, and wrestling were my primary sports and I was drawn to the weight room to get bigger and become the fittest kid at my high school. I spent countless hours in the gym to get better at sports. I loved seeing my body progress after lots of hard work in the weight room . I was a small kid growing up and always cut weight for wrestling season, so big gains weren't possible because my diet was inconsistent. I didn't gain size until my senior year of wrestling was complete and I focused on building mass and eating. During my first two years of college lacrosse, I put on more size but stayed lean and cut because of practice. 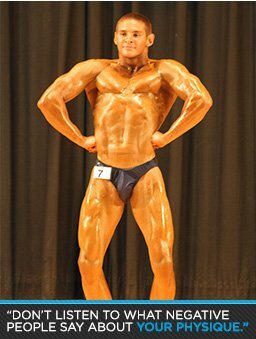 A couple friends from my hometown gym told me to do a bodybuilding show and I researched which shows would be best for my physique. The NABBA was perfect because it has a show and class that fit me well. 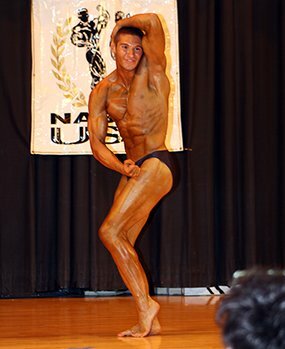 My first show was The Keystone Classic in Lancaster, Pennsylvania, where I took first place in the men's athletic body class. The fascinating part of bodybuilding is that it's a single-athlete sport. There are no teammates to blame mistakes on. It was only me and my opponent on the wrestling mat. Bodybuilding is similar because it's only me and other contestants on the stage. It's my duty to make sure my body is far and beyond the best on stage. I can't make excuses. The reward is much greater when you succeed in an individual sport. My motivation came from people who said I wouldn't do well. People constantly said I wasn't big enough to win a contest. When I said I considered doing a show, everyone laughed under their breath and brought me down. That made me work harder and focus on my diet and workout regimen to prove them wrong. When I had a bad day and didn't want to go to the gym or eat healthy, I relied on my close friends, girlfriend, and trainer. They always pushed me, even if I was beat tired and had no energy. They changed their plans to get me in the gym. I thought about how much time and effort I put into the diet and gruesome workouts to reclaim my focus. I want to thank Zack Robinson, Nate Soto, and Victoria Rost. They always supported me and believed I had a chance to win. Special thanks go to my trainers, Kevin Perrine and Tyler Herz. Without them, none of this would be possible. They taught me everything I know about bodybuilding and made my first experience great. I plan to continue competing in the NABBA for another year and then train hard to get bigger, stronger, and leaner to compete in the NPC. From there, I will take my bodybuilding career day by day and see where I end up. Don't listen to what negative people say about your physique. Many people don't want to compete because they're afraid what people think. The primary focus of your first show is to gain experience. Get the experience and enjoy the ride. Ulisses Williams Jr. is one of the first bodybuilders I discovered. I wish to obtain a physique close to his because he did it completely naturally. Bodybuilding.com is the only place I go to buy supplements. It's the best site to find everything a bodybuilder needs to compete and it's easy on my wallet. BodySpace is an amazing way to keep track of my goals and see the gains I make over time. I get all of my workouts from Bodybuilding.com. There's no better place to get workouts. "Party Hard" by Andrew W.K.